Arsene Wenger believes Manchester United's 2-0 defeat to Paris Saint-Germain demonstrated the huge gulf in quality between the two teams. United were defeated for the first time under caretaker boss Ole Gunnar Solskjaer thanks to goals from Presnel Kimpembe and Kylian Mbappe, both set up by former player Angel di Maria, at Old Trafford on Wednesday night. Former Arsenal manager Wenger, who took the Gunners to the Champions League final in 2006, said United lost the game in one key area. "The difference, technically, in speed of understanding of the game between the two teams, was huge and it became bigger as the game went on," Wenger told BeIN Sport. "Man United played at home and had one shot on goal in a Champions League game - that tells you the difference between the two teams. "In the Champions League you can't be dominated in midfield and the whole evening, Manchester United were dominated in midfield. "PSG played with five midfielders and they never lost the ball. 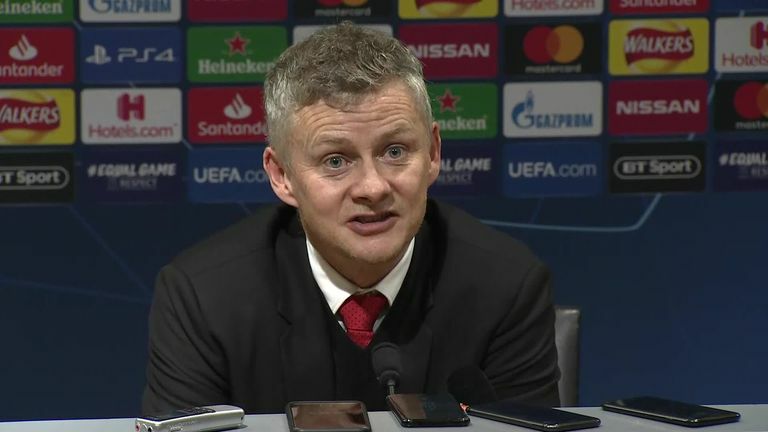 "Manchester United could never win the ball back and when they had the ball they lost it very quickly because PSG dominated the midfield to win the ball back. "They lost the battle in midfield. When you play at home and you cannot keep the ball, you're always in trouble."